SEATTLE — Dylan Hatfield worked for six years aboard the Destination before leaving in 2014. He was tight with all of the crew, which included his older brother, Darrik Seibold, whom he had helped to get a job on the vessel. So last Thursday evening, Hatfield relished the chance for a brief reunion as he crossed paths with the Destination crew in the Aleutian Islands port of Dutch Harbor. 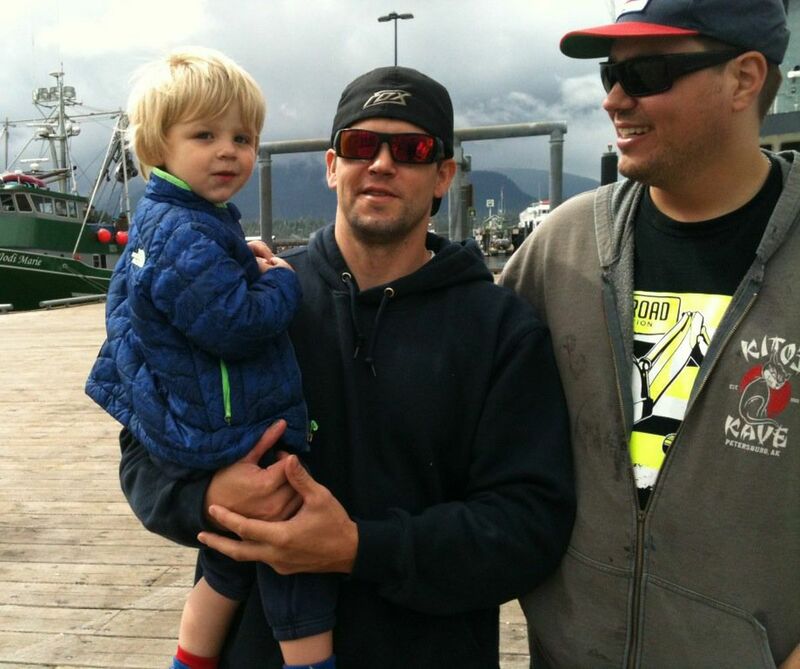 Hatfield had just ended his Alaska crab season aboard another Bering Sea vessel — the Kari Marie — while the crew of the Seattle-based Destination was about to depart to begin the later-winter harvest. He went down to the dock where the Destination was moored to greet the crew. Then, they all went out for pizza and beer, a night filled with hugs, laughs and tales of years past hauling in snow and king crab. "These boys loved what they did," Hatfield told The Seattle Times. "They worked so hard and were the best in the biz." Early Friday morning, Hatfield said, the Destination departed Dutch Harbor. The next day, he got stunning, awful news: The Destination and its crew had gone missing off St. George in the Pribilof Islands. Hatfield says he feels like all the crew members were his brothers. They could push hard to bring in the catch but also were keen on safety, conducting drills, checking alarms and led by a captain who did not take unnecessary risks. "I never felt unsafe on that boat, and I would never have gotten my brother on the boat if I felt it was unsafe," Hatfield said. There was no mayday before the Destination went missing early Saturday morning, a chill day with snow squalls. The U.S. Coast Guard-led search that ended Monday found debris that included a life-ring from the vessel, as well as buoys and tarps, but no signs of the crew. Two of the crew, Seibold and Larry O'Grady, of Poulsbo, Washington, have been identified by family members to The Seattle Times. Hatfield, 29, says Seibold is his brother, and eight years older than him. The two spent part of their youth in the Southeast town of Petersburg, where they both got their start in the fishing business working as teenagers to catch Dungeness crab. They then joined the Bristol Bay salmon fishery and found work as deckhands on the Bering crab fleets. 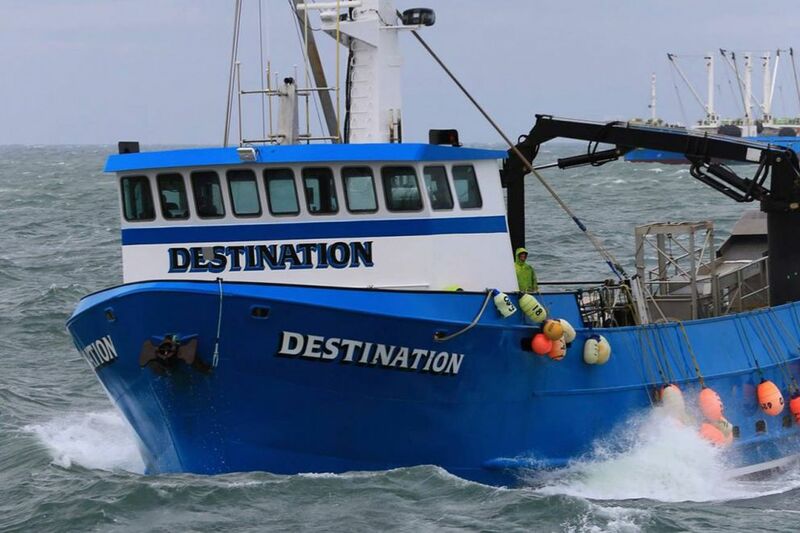 The Bering crab harvests unfold through the fall and winter months, and Hatfield said it is possible for a crew member to earn a six-figure paycheck. The work is grueling, but he notes that safety in the industry has improved dramatically over the years. Even after two months of bringing in snow crab this winter, Hatfield was still ready to work more, so he had asked the Destination's skipper if there was an opening. There wasn't, and that's why Hatfield was not onboard the vessel, as it began its final sea voyage. Hatfield thinks it will be hard to find out exactly what happened to the Destination. Crews often deal with freezing spray that can coat the gear and add weight that reduces vessel stability. But aboard the Destination, they were always quick to beat off the ice, or drop pots overboard to reduce weight. Other hazards include strong currents or tides and rogue waves. But the crew was experienced with all those things, and Hatfield figured it must have been a combination of factors that caused things to go so wrong. As for the future, Hatfield says he plans to remain a Bering fisherman. "I am made for the ocean. It is one of those things that gets into your blood," he said. "It's going to be tough (to return). And I'm not sure how I will react. But I am a fisherman. It will always be my passion."